Any cat owner will tell you: those felines love keyboards. They love sitting on them. They love walking on them. They adore them! Over on Yahoo! Answers, the top answers state the obvious: cats want your attention. That's no doubt true. Recently, Japanese site My Navi examined this issue that has confronted cat owners as long as there's been computer keyboards. Cats, My Navi pointed out, love warm places, and computers offer just that. In fact, cats like temperatures as hot as 126 degrees fahrenheit! This is why cats are always lounging in the sun, and this might be due to the animals' desert ancestors. What's more, cats love things that move and make noises. Computers are a hive of activity, with things happening onscreen as well as blinking LED lights on monitors, computers, and keyboards. The cursor, in particular, is of great interest to our feline friends, My Navi notes. Its movement probably reminds cats of insects. Keyboards are somewhat pliant in that they "give" when they cats walk across the keys, pressing them down. Cats love soft things, and this probably also helps keyboard seem like a cool kitten place to hang out and punch out a few paw strokes. 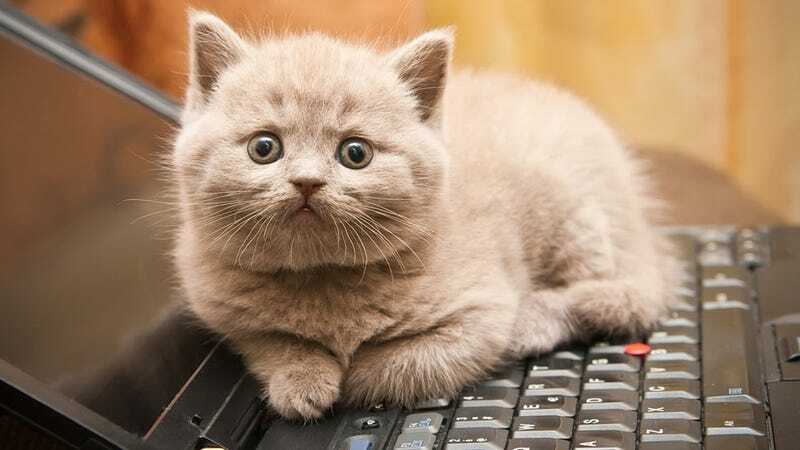 There's even a slightly humorous Wiki on how to get your cat to stop walking on your keyboard. One of the things it recommends is not showing your cat things on the computer. Cats want attention. They want your attention! And if you are spending too much time at the computer, a stroll across your keyboard is your cat's way to say, hey, look at me. But since the area is warm, active, and tactile, it makes the computer a place your feline friend likes just as much as you do. Correction: An earlier version of this article stated that cats liked temperatures up to 152 degrees fahrenheit. It should have read 126 degrees.